Shannon Landauer, executive director of Carroll, IA, Chamber of Commerce and Carroll Area Development Corporation, earned the designation of Certified Economic Developer (CEcD), a national recognition that denotes a mastery of skills in economic development, professional attainment and a commitment to personal and professional growth. The CEcD exam was administered by the International Economic Development Council (IEDC) on Jan. 28-29, 2017 in Jacksonville, FL. Landauer is a former executive director of the Boone County, NE, Development Agency. 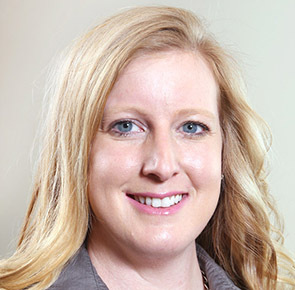 With 11 years of economic development experience, Ms. Landauer has worked with existing industry on growth projects, provided leadership in the Western Iowa region with business attraction efforts and worked with local business and education partners on the creation of talent development strategies. The CEcD designation recognizes qualified and dedicated practitioners in the economic development field and sets the standard of excellence within the profession. Candidates must pass a rigorous and comprehensive examination, which has three parts and spans two days. The exam tests a practitioner’s knowledge, proficiency and judgment in all key areas of economic development.